Free Shipping: Delivered in 15-25 days by USPS. Day 1: Your order is received, processed and sent to production. Day 3 Quality Control verifies your order is perfect and packages it for delivery. Day 4: Your order will depart our Beijing, China facility or our Jacksonville, FL location. FREE Shipping Option: Receive our order in approximately 15-30 days. Delivery dates are not guaranteed and you will receive tracking. Please track your order at www.usps.com with the tracking number given. Initially it may take 5-10 days for the United States Postal Service to update their tracking details. Please check the www.usps.com website daily for updates. DHL Faster Shipping: Choose to this option and you will receive your order in 7-15 days. If you require your item by a specific date please keep the above timeline in consideration and email us at shopdy247@gmail.com to inform us of the due date. Please keep in mind that we cannot guarantee all deadlines but we will try our best to meet them. We also suggest that you upgrade to our DHL Express delivery method to receive your item in 7-15 days after the life cycle production process. If you have a discount code or gift card you can enter this on the final checkout page. We cannot apply the discount code or gift card for you after you have placed your order, so please make sure that the discount has been applied before your complete your purchase. Please email/call/text us immediately: (904) 990-7496, shopdy247@gmail.com. Orders are automatically sent to production every day at midnight, 12pm EST, including weekends and holidays. If you need to cancel your order please call us immediately. Once in production, we cannot cancel, refund or exchange any order for any reason. This is a strict policy. Please refer to our sizing guides on their respective product page links. For any additional sizing questions, please contact us by E-mail / shopdy247@gmail.com. If you are ordering any of our items as gifts please order early (no later than November 20th in most instances with FREE Shipping and by December 8th with DHL Fast Shipping) to have in time. Update: We are currently on a 7 day delay due to heavy order volumes. Tracking information will be available and emailed once your order departs our facilities. Please allow 12-16 days to receive your tracking number, we cannot provide one until your order is completed and shipped. DoYou247™ will do everything in its power to ensure fastest delivery for all customers and locations. However, in rare circumstances, some countries may hold packages for any number of reasons. This is out of our control and for that reason we do not honor our guaranteed delivery times for orders held in customs. Additionally, we do not guarantee estimated arrival times inclusive of any major holidays or weekends. DoYou247™ further reserves the right to amend this guarantee at any time and without warning or notification. We will do everything we can to ensure delivery, including re-shipping your order free of charge when necessary and solely at the discretion of DoYou247™. Because we deal with many different manufacturers ordering more than 1 item will result in receiving your order in multiple packages. By ordering from us you are acknowledging that you are aware of this and approving the receipt of several different packages at different times. DoYou247™ cannot deliver Express DHL to PO Boxes of any kind. You must provide a mailing address for all DHL Express deliveries. We cannot accept an address change once an order has been shipped. Some online orders are shipped worldwide via DHL or Epacket then final delivery by your countries preferred shipping carrier. Some countries require very specific importing instructions that need to be supplied by the receiver. DoYou247™ cannot provide these documents on behalf of the receiver, so please be sure to provide such documents if your country has strict importing regulations. We are not responsible nor honor our shipping guarantee for delayed delivery due to customs and regulations. Select countries have been removed from available shipping locations due to high levels of fraudulent activity. We apologize for the inconvenience, but we cannot make any acceptations to this policy. We offer a satisfaction guarantee on all purchases. Your return items must be sent back in the condition you received it, unworn, unsoiled, unwashed or undamaged and with tags attached (if applicable), within 6 days of your purchase. Please note: If we find that after receiving the item that it has been worn, soiled, or damaged we will NOT issue a refund. We issue refunds on the original payment method excluding all taxes and shipping costs. A restocking fee of 30% will be charged unless returned due to our error or our damage. Please contact us before shipping your return: shopdy247@gmail.com. We cannot issue a refund or exchange until we have received the returned items. Processing your return will take 10-14 days. After we have processed your return, we will contact you with further information. Please check your spam box periodically. Please allow up to 30 days for your bank information to reflect your refund. Customers are responsible for all return shipping expenses. Returns will be processed in 10-14 days upon receipt. Refunds or exchanges will not be given until we have received and processed your order. Returned orders which are not in original condition will not be accepted and are subject to a 15% processing fee and all return shipping costs. We offer a satisfaction guarantee on all purchases. Your exchange item must be sent back in the condition you received it, unworn, washed or damaged and with tags attached, within 7 days of your purchase. We issue store credit for all exchanges on items excluding taxes and shipping costs. A restocking fee of 30% will be charged unless exchanged due to our error or damage. Custom made and personalized items cannot be returned. Customers are responsible for all shipping expenses. Exchanges will be processed in 10-14 days upon receipt. Exchanges will not be given until we have received and processed your order. Exchanged orders which are not in original condition will not be accepted and are subject to a 15% processing fee and all return shipping costs. After you have submitted all relevant information about your faulty item our customer service team will review your request and contact you as soon as possible. We accept all major credit cards and PayPal. We do not accept checks, moneygram, western union, bitcoin or cash on delivery. If your credit card is being declined please check that the credit card or PayPal information you entered is correct. Occasionally a credit card will fail to make a payment if there are insufficient funds, if this is the case, try another card. If you are an international customer, please make sure your bank will allow you to make an international transaction. International orders may be charged a small fee by either your bank or PayPal during purchase. Please note this is not a charge from DoYou247™ and we are unable to amend this charge. All transactions are made in USD. We offer the ability to change the display currency in our online store for your conversion rate convenience only. The final amount in USD will be displayed on our secure checkout page before completing your purchase. 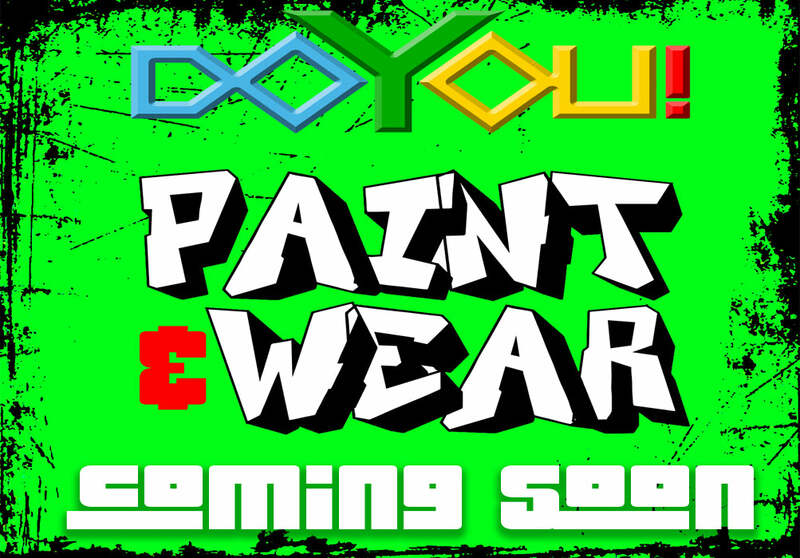 DoYou247 Custom made clothing for any occasion. Online 24/7 | Popup Shop Near You! Sign up to our newsletter and get Coupon Codes! Copyright © 2019 doyou247 and All Rights Reserved. Get Coupon Codes & New Design Alerts!